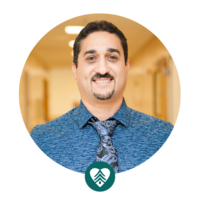 At Fairchild Medical Center we value what it means to be a team, to put other people first and to be a leader in our local community. For more than 20 years we have been providing quality health care to our rural area. As health care continues to change we are committed to making access to quality care possible and we continue to evaluate how we can make the best possible impact upon the well being of our community. As the single largest private employer in Siskiyou County we are proud to contribute significantly to our local economy through our annual payroll which exceeds $42 million per year and through our more than 500 employees and 26 physicians who call the area home. Thank you for allowing us to care for you and your family. 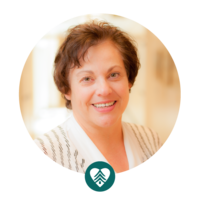 At FMC, caring for you is at the heart of who we are. are at the heart of who we are and how we serve our community. Located in Yreka, California at the base of the breathtaking, beautiful Mount Shasta, Fairchild Medical Center is accredited by the Joint Commission. 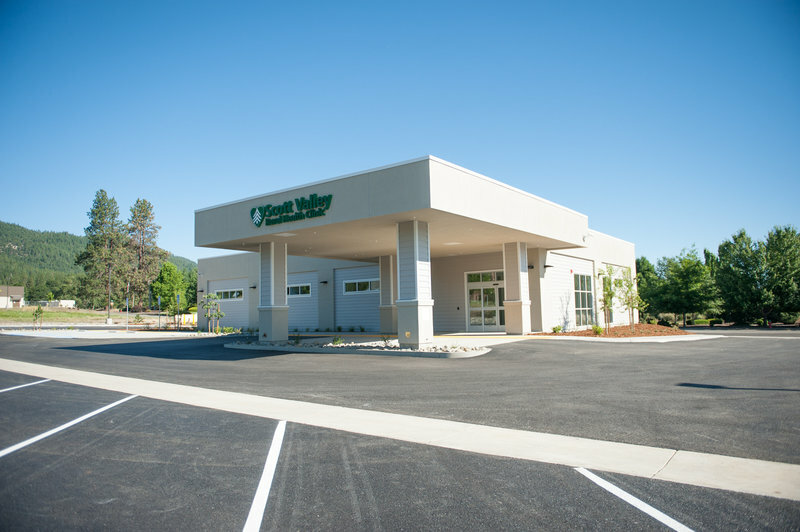 FMC is a state-of-the-art healthcare facility, built in 1997 to replace the old Siskiyou General Hospital, which had served the residents of Siskiyou County since 1921. Every year, Fairchild Medical Center cares for more than 60,000 patients, including more than 12,000 Emergency Department patients. Fairchild Medical Center has a medical staff of more than 80 physicians with an active staff of 26 physicians. 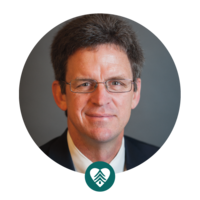 Fairchild Medical Center is a leader and catalyst in the formation of a fully-integrated health care system. We seek to involve the entire community in achieving a healthier population, ensuring the availability and accessibility of health care services to all. • Ensuring the availability and accessibility of health care services to our communities. The source of our strength is a team of caring people including the Board of Directors, Leaders, Hospital Employees, Medical Staff and Volunteers. We value quality, compassion, teamwork, innovation, and professionalism. Quality is paramount. Every decision we make is an attitude which we will nurture. Customers are the focus of everything we do. Customers include patients, patients’ families, employees, physicians, volunteers, suppliers, and our community at large. Services will be provided with our customers in mind, through a business and humanitarianism approach at a cost-competitive price. Continuous improvement is essential for our success. We will plan, measure, evaluate and improve the processes as necessary in order to continually make improvements in systems and services throughout our organization. We are committed to assisting Fairchild Medical Center in providing full service, technologically advanced medical care to everyone in our community. Through special events and fundraisers we raise financial support for Fairchild Medical Center and provide educational and social opportunities for our local community members. The Fairchild Medical Center (FMC) Auxiliary was organized more than thirty-five (35) years ago for the purpose of promoting and advancing the welfare of FMC by assisting patients and hospital personnel, developing good public relations and providing equipment for FMC through its fundraising activities. Siskiyou General Hospital has served the residents of Siskiyou County since 1921. In 1997 Fairchild Medical Center, an approximately 64,000 square foot state-of-the-art building, was built on gifted land from Mr. Stan Friden in memory of his wife and past Siskiyou General Hospital Board member, Jane Friden. 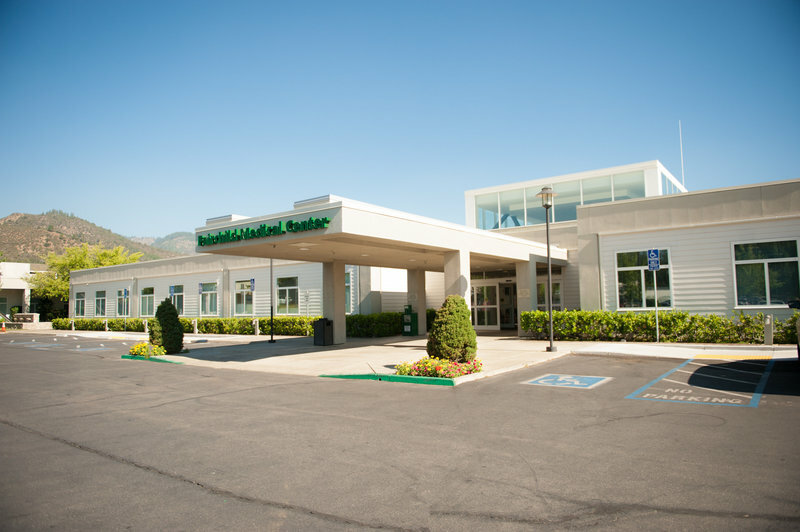 In 1997 Siskiyou Hospital, Inc. renamed the Siskiyou General Hospital to Fairchild Medical Center which was named in memory of Mr. and Mrs. Benjamin Fairchild, the late parents of Mrs. Leah McConnell, the McConnell Foundation’s founder. The McConnell Foundation donated a matching grant of $2 million dollars. 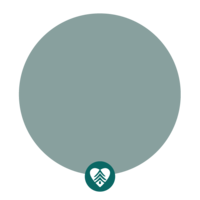 In 2005 Fairchild Medical Center chose to pursue designation as a Critical Access Hospital. This federal designation enhanced the level of care to the community. The hospital under this program is allowed 25 patient beds. Rural Health Clinics have been an important part of the delivery of care in Siskiyou County. Starting in 1992 Scott Valley Rural Health Clinic was made part of the hospital, serving the needs in Scott Valley. In 2018, Scott Valley Rural Health Clinic will move to a brand new building in Etna. The land for the new clinic was generously donated by Mr. Jim Hendricks of Scott Valley. In 2008 Fairchild Medical Clinic was formed out of Fairchild Medical Group, and is also a certified Rural Health Clinic. This clinic is conveniently located across from the hospital in the Fairchild Medical Plaza that also houses Rehabilitation Services, the Sleep Lab and a private physician practice. A recent 22,000 square foot addition to the Fairchild Medical Plaza added needed space to facilitate specialty care and a growing volume of primary care seen in our Rural Health Clinics. To enjoy historic black and white photos featuring historic hospitals and health care facilities in Siskiyou County please visit our history wall inside the hospital. The Fairchild Medical Center and its’ family of Clinics serves the rural populations of northern, western and eastern Siskiyou County. 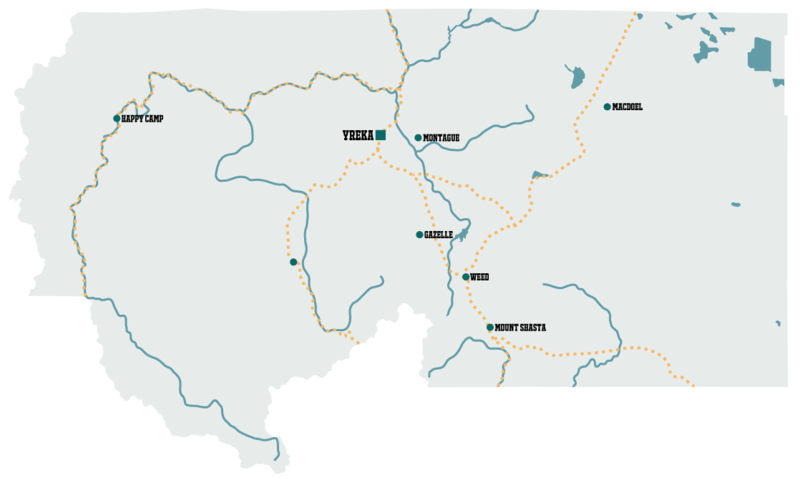 With a large geographic area coverage, patients who use the Fairchild facilities, range from Orleans, Seiad Valley and Happy Camp in the western part of the County, to the mountain valley communities of Fort Jones, Greenview, Etna and Callahan in Scott Valley; north to the Oregon Border with the towns of Hornbrook and Hilt; and east to Dorris and Tulelake. As well as communities from the areas of Somes Bar, Forks of Salmon, Sawyers Bar. Fairchild Medical Center is an integral part of the communities we serve, not only as a healthcare facility, but also as one of the largest employers in Siskiyou County. The economic impact of our more than 500 hundred employees is significant to local businesses. 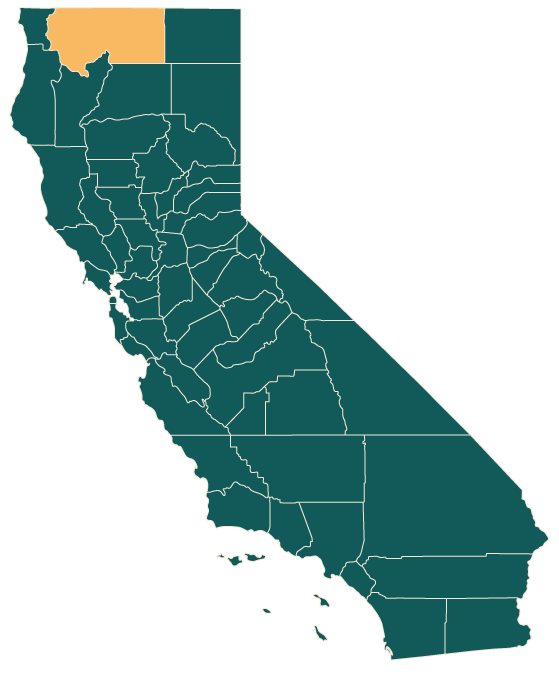 Yreka is the county seat of Siskiyou County, California, United States, located in the Shasta Valley at 2,500 feet above sea level and covering about 10.1 sq mi (26 km2) area. The population was 7,765 at the 2010 census, up from 7,290 at the 2000 census. At 14, 179 feet (4321.8 meters), Mount Shasta it is the second highest peak in the Cascade Mountain Range and is the fifth highest peak in the State of California. The mountain was named from the native Karuk people’s language of Úytaahkoo or "White Mountain. The mountain is a potentially active volcano located at the southern end of the Cascade Range in Siskiyou County. Mt. Shasta has an estimated volume of 85 cubic miles (350 km3), which makes it the most voluminous stratovolcano in the Cascade Volcanic Arc. The mountain and its surrounding area are managed by the U.S. Forest Service as part of the Shasta-Trinity National Forest. The National Forest draws visitors from around the world and offers activities from camping and hiking, to hunting, fishing, skiing, snowboarding, rafting and mountain biking. Members of the media may make requests for information, interviews and images from Assistant Administrator, Mike Madden by calling (530) 842-3507 or via email at media@fairchildmed.org. Want to stay up-to-date on what's happening at FMC? OPT-OUT AT ANYTIME. EMAILS ARE STRICTLY INFORMATIVE AND WILL NOT CONTAIN PERSONALIZED HEALTH INFORMATION. WE'RE COMMITTED TO MEETING THE HEALTH NEEDS OF OUR COMMUNITY.